Many organizations are leveraging non-Windows platforms (Mac and Linux) while also leveraging cloud infrastructure such as AWS. 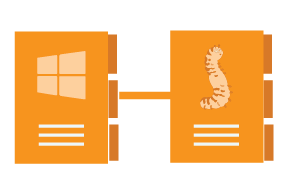 In these scenarios, what are IT admins to do when the organization already has Microsoft Active Directory®? This is an ideal use case for leveraging a cloud identity management solution to extend your core identities to IT resources that aren’t integrated with Active Directory. For IT organizations that want to completely move to the cloud, they will be interested in our IDaaS platform. These scenarios often stem from the move to G Suite, Office 365, and/or AWS as well as web applications. The thought process focuses on why an IT organization should have one foot on-prem with their identity provider while the rest of their organization is based in the cloud. The traditional answer has been to continue to leverage AD, but that’s no longer necessary. In fact, the better choice is to look at a cloud identity management platform. If organizations do migrate Active Directory to DaaS, the good news is organizations can import their existing Active Directory, G Suite, or Office 365 users into the cloud-based directory, preserving critical data and eliminating migration pain in the process. 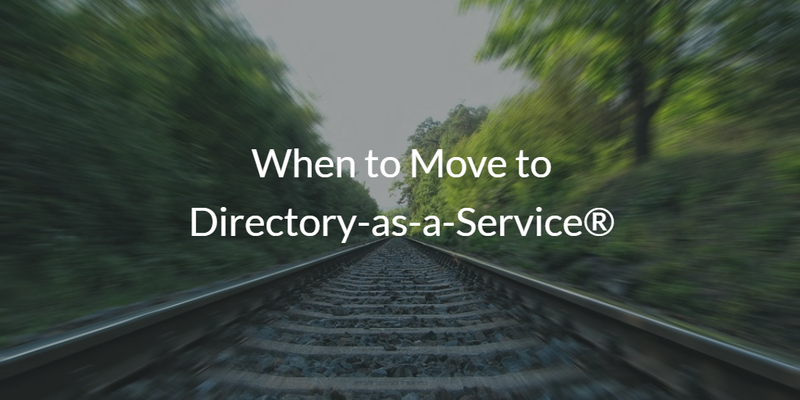 Many cloud-forward organizations have opted to skip the directory. The thought of having an on-prem server made them pass over the directory service. As they’ve grown and security is more critical, cloud-forward IT organizations are increasingly leveraging Directory-as-a-Service. There are many more specific reasons that IT admins are making the leap to a modern IDaaS platform. 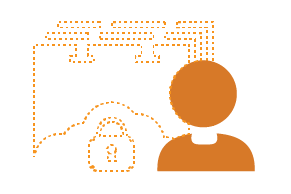 Some of those reasons include solving the following problems: centralized user management, shifting LDAP and RADIUS to the cloud, a True Single Sign-On™ solution, system management, multi-factor authentication, and more. At the highest level, though, the choice to move to Directory-as-a-Service is about aligning your needs and requirements with a modern identity provider. If you would like to learn more about when to choose Directory-as-a-Service, drop us a note. Alternatively, give our IDaaS platform a try for yourself. Your first 10 users are free forever.